Ready in 30 minutes! This is a 10oz. box. 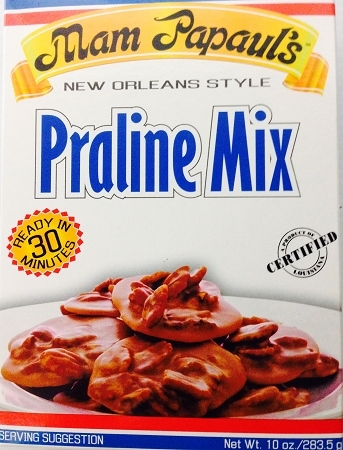 Cooking Directions: Place Mam Papaul's New Orleans Style Praline mix, 5 Tbsp evaporated mile and 4 Tbsp butter in 2 qt. saucepan. Cook on medium heat. Stirring continuously, slowly bring mixture to a boil; bubbles should be breaking the entire surface of the mixture. 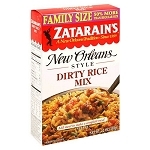 Increase the temperature to High and continue to boil for 60 seconds ONLY. DO NOT STIR. Remove from burner' add pecans and stir continuously for 3 minutes. 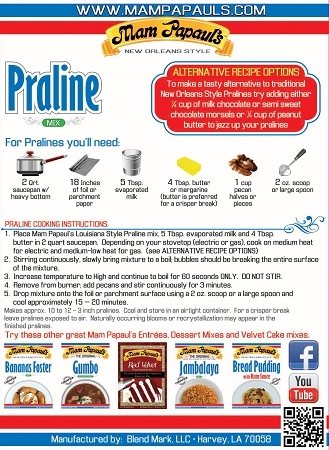 Drop mixture onto the the foil or parchment paper using a 2oz. scoop or a large spoon and cool approximately 15-20 minutes.